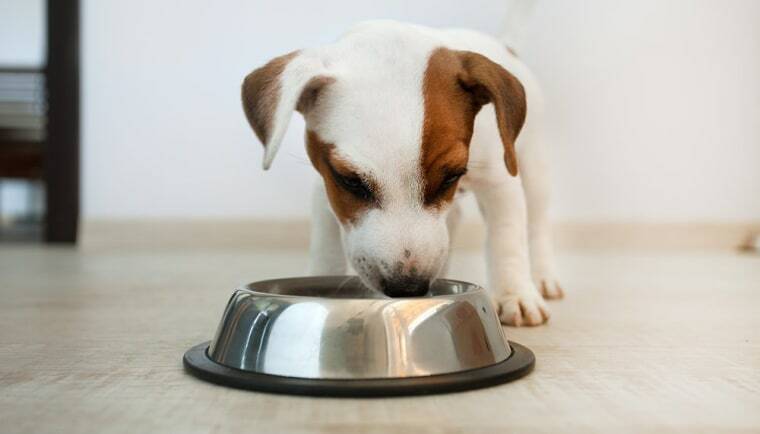 Certain types of grain-free dog food seem to be involved, FDA says. Dogs fed "grain free" food based on peas, lentils or potatoes are developing an unusual condition that can cause an enlarged heart, the Food and Drug Administration warned Thursday. The condition, called canine dilated cardiomyopathy, is more common in certain breeds, but it’s turning up in breeds that are not usually susceptible, the FDA said. It might be down to a nutritional deficiency, the FDA said. The agency is not naming brands, but said the ingredients seemed to be more important than the brands. The affected dogs appear to have been fed certain types of pet foods. “We are concerned about reports of canine heart disease, known as dilated cardiomyopathy, in dogs that ate certain pet foods containing peas, lentils other legumes or potatoes as their main ingredients,” said the FDA’s Dr. Martine Hartogensis. “The FDA is investigating the potential link between DCM and these foods. We encourage pet owners and veterinarians to report DCM cases in dogs who are not predisposed to the disease,” Hartogensis said in a statement. Dogs with the disease develop an enlarged heart, which then struggles to function properly. They can develop congestive heart failure, which can be fatal. Symptoms include lethargy, weight loss and, sometimes, a cough. "Heart function may improve in cases that are not linked to genetics with appropriate veterinary treatment and dietary modification, if caught early," the FDA said. Some breeds of dog have a genetic predisposition, including great Danes, Newfoundlands, boxers, Doberman pinschers and St. Bernards. “However, the cases that have been reported to the FDA have included golden and Labrador retrievers, whippets, a Shih Tzu, a bulldog and miniature schnauzers, as well as mixed breeds,” the FDA said. A dietary deficiency may be one cause, according to the Cornell University College of Veterinary Medicine. Heart drugs can be used to treat the symptoms. The FDA wants to hear from veterinarians who have treated cases of DCM. "Diets in cases reported to the FDA frequently list potatoes or multiple legumes such as peas, lentils, other 'pulses' (seeds of legumes), and their protein, starch and fiber derivatives early in the ingredient list, indicating that they are main ingredients," the FDA said. "Early reports from the veterinary cardiology community indicate that the dogs consistently ate these foods as their primary source of nutrition for time periods ranging from months to years. High levels of legumes or potatoes appear to be more common in diets labeled as 'grain-free,' but it is not yet known how these ingredients are linked to cases of DCM," it added. "Changes in diet, especially for dogs with DCM, should be made in consultation with a licensed veterinarian." Taurine deficiency is one potential explanation. Taurine is an amino acid — a building block of protein — that is essential for carnivores. "Taurine deficiency is well-documented as potentially leading to DCM," the FDA said in a statement. "The FDA encourages pet owners and veterinary professionals to report cases of DCM in dogs suspected of having a link to diet by using the electronic Safety Reporting Portal or calling their state’s FDA Consumer Complaint Coordinators." The agency has online guidance on how to report on pet food problems.